8 hours of Rigorous Coaching + 4 Scored tests. Your Message : I am an engineer. I want to migrate to Australia. I have given PTE previously but could not get the required score. I need to score 79+ to make my profile strong. I am stuck with Essay Writing and need more tips to improve speaking score too. If you have already appeared PTE and didn't get your desire score, Upload previous score report so our expert will anlyse it and will you help you with best tips. Do not have time to attend PTE sessions without giving up on your routine? You are exactly where you ought to be! Get one-on-one attention. Receive guidance, personalized tips and solutions. Boost your PTE Score with expert feedback related to your performance. Customize your study session by choosing to learn what you really require and get solution of your difficulties. Just skip off the rest. Maximize the amount of time devoted to studying. Avoid the loss of your precious time cost due to commuting long distance or through heavy traffic. Personalized Coaching is one to one training of 5 days (Daily 2 hours) with PTE Expert. You can ask your doubts or gain more tips from the expert. The PTE Trainer will solve specific doubts and custom queries. Test taker who is re-appearing for the test or who needs guidance with specific doubts can obtain personalised guidance from the PTE Expert. Accelerated learning of tips & Strategies for all 20 tasks with PTE expert. Moreover, you also get 2 Practice Tests and PTE Question Bank free. Click here to view Students Testimonials and scorecards. Check out the student's experiences and scores after online coaching. Group Coaching is a 15-days course of online PTE Coaching with PTE Expert in a concise batch of number of students. There will be a defined study schedule for the 15 day's period. The PTE Trainer will cover tips & strategies for all 20 tasks. There is a proper schedule of 15 days where you will also get a chance to ask your doubts. Test take who are looking for focused learning and have commute problems. Also, if you are re-appearing for the test then this is the best way to grasp the much-needed tips. What is the weekend Coaching? Weekend Coaching has the batches that run only on weekends. Such batches are for those who have no time on weekdays because of their busy schedule like jobs. What is the timing for weekend batches? The batches run for four hours on Saturday and four hours on Sunday. It is one week batch which means you'll be studying one Saturdays and two Sundays (four hours each). Is there any compromise on quality as compared to weekday Coaching? Not at all! PTETutorials would do everything but compromise on quality! In fact, it would not be wrong to say that weekend batches would be more intense as we have limited seats. The tutors are fresh at ease on weekends, and so are you! The learning would be fun yet professional. How many students can enroll in weekend Coaching? We want to keep weekend batches exclusive. We would not allow more than 5 students in one batch. What will all materials be provided by PTEtutorials? The tutors may provide materials on their own. Nevertheless, PTE Tutorials gets you free Scored tests that help you understand the test better. In addition, the access to free sample questions on PTETutorials portal has proved to be enough material even to score 79+. What if I'm not available on a particular day? Well, we don't allow extension of the course in most of the circumstances. Nevertheless, we are not rigid! In some special unavoidable events or consequences, we may consider letting you sit for another batch. But, in any case, you need to inform us in advance to avoid last-minute hassles. Who'll be teaching us? What will all be covered? What is PTE (overall idea)? What are the question types? What are the benefits of attending weekend Coaching? The best part of the weekend batches is that they are on weekends! You may study at your ease without bothering yourself about office timings. View tutor's screen on yours. An enhanced and interactive way to experience near-to-real classroom learning. Utilize the benefits of flexible learning on your smartphone, tablet or laptop without geographical constraints. One-on-one interaction ensures 100% attention from the tutor. Get your doubts solved in a focused manner and boost your confidence. Study Online & Save Money. Free yourself from commuting costs & polish the crucial skills that fetch you high score. Benefit from the experience and expertise of the PTE Tutors. Learn and follow best strategies for improved performance. Access comprehensively designed PTE practice materials to make your preparation more enhanced and focused for the actual test. 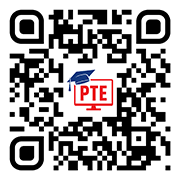 www.ptetuorials.com is a platform that provides a wide range of services ranging from Online coaching, Module wise Materials, Correction service for writing and Describe image, Practice Tests, Webinars, Check my score, Telegram Group, Access to PTE Tutorials application. How can I attend Online Session? Login into your PTE Tutorials account with the credentials received via email and then Visit "Online Coaching" tab and click on "Join" tab. Is it essential to download any specific software? You will get a downloadable link to attend the Class on your registered email id. We recommend having a minimum of 2 Mbps internet speed so that you can attend the class without any interruptions or hassles. What if I miss the Class? Will I be able to access it later? If you have missed the Group or Weekend class, you can access the recording later & view the class proceedings. If you have missed the One-to-one session without prior notice, no re-schedule will be granted. Can the Group Coaching or Weekend coaching class be delayed or rescheduled? No. As per the policy, no reschedule of the class will be granted. Can I re-register for Demo Session from the website? No! You will be allowed to register for Demo Session only once from PTE Tutorials portal. Is live demo class possible? No, the recorded demo will be provided into Your PTE Tutorials account only after you register for it. You can view and access that demo class at your convenient time. Is demo class provided for all coaching type? Demo classes of Group and Weekend Batches can be requested through the PTE Tutorials website. But the demo class for Online One-to-one Session is not available. This is because One-to-one sessions are flexible without a pre-fixed curriculum. Will I get a confirmation e-mail on registering for a Demo Class or Coaching Class? Yes! You will get an e-mail notifying you about the confirmation of your registration for Demo Class or Coaching Class. Along with it, you will also receive details about how to join the class. When will the recordings be uploaded in my PTE Tutorials account? Recordings will be uploaded after 24 hours in your PTE Tutorials account, once the class is completed. For how long will I be able to access the uploaded recordings? Recordings remain accessible for 30 days after the class date. What if forget my Login Credentials? Please mail us on support@ptetutorials.com within 24 hours you will receive the mail with credentials. Online courses may be conducted using GoToMeeting and Zoom platforms. PTE Tutorials does not refund online course registration fees for any reason including non-participation due to conflicts that arise with a registrant's schedule or technical difficulties that are not in the control of PTE Tutorials. PTE Tutorials have no cancellation policy once you are enrolled in the batch or once you have purchased any materials from us.